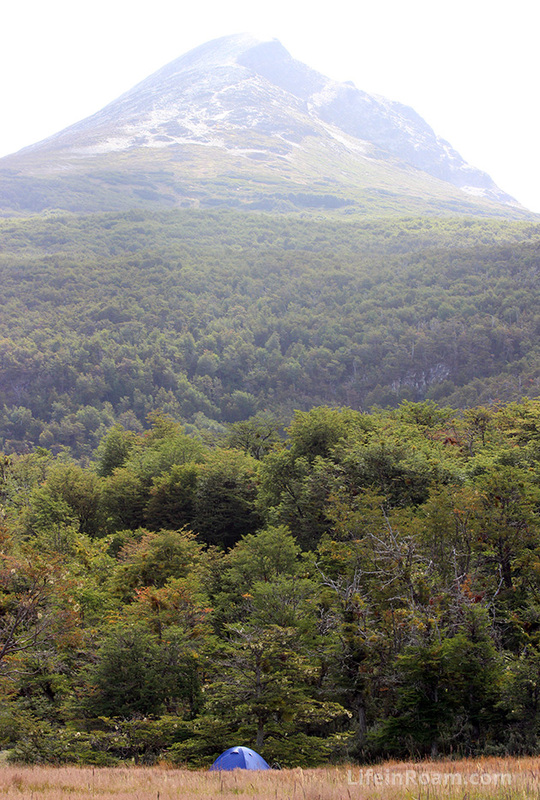 Tierra del Fuego National Park is accessible by shuttles that run from the bus terminal in Ushuaia. If you are four people, it is cheaper to take a taxi. For three, because the bus includes a return trip, it was cheaper to take the shuttle. The shuttle leaves on the hour, and will drop you off at one of the preset drop off locations. The information center in Ushuaia has all of this information. 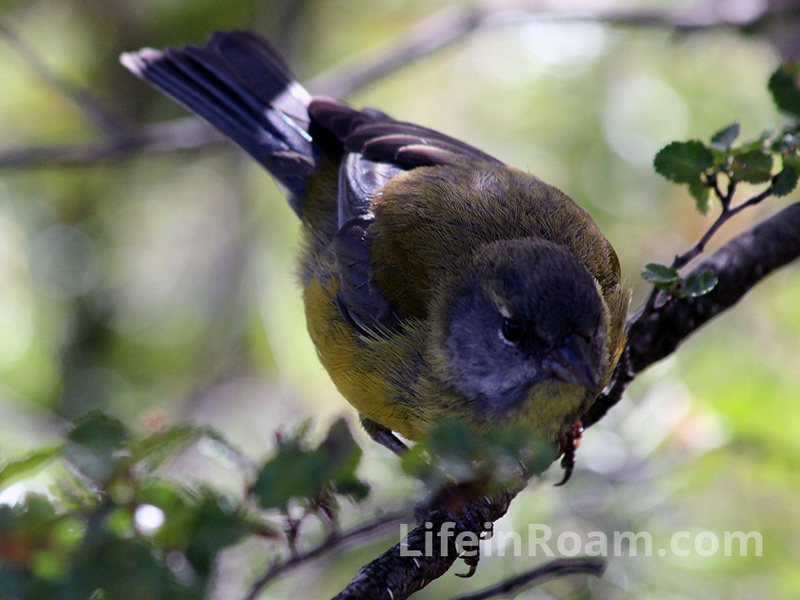 We rented a tent and three sleeping bags from Wind Fly in Ushuaia (178 25 de Mayo). It was the only place with a tent for three people available and was cheaper than the other rental store. While they suited our needs, I’m not sure I would recommend them whole heartedly. I’ll share why later. 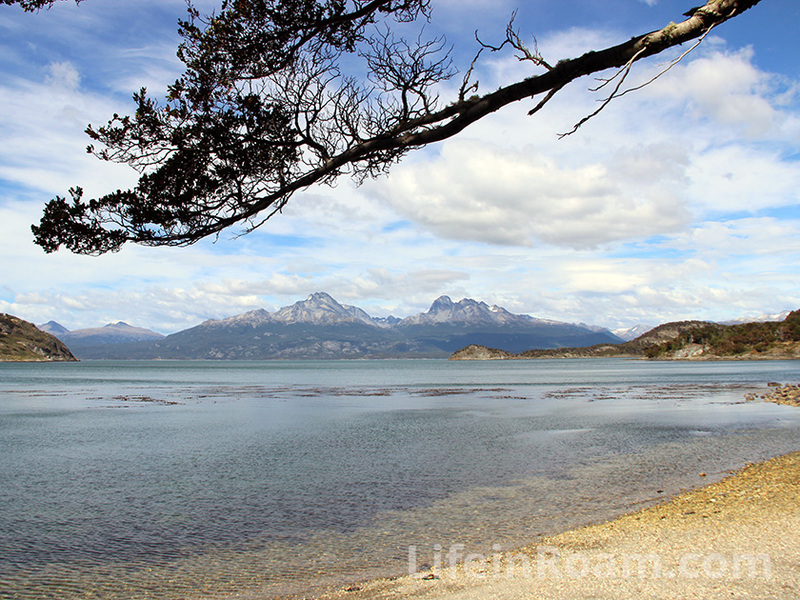 Take the shuttle from Ushuaia to the park and disembark at the first dropoff point. Walk the 8km along the flat Senda Costera trail to the camping locations with our gear. 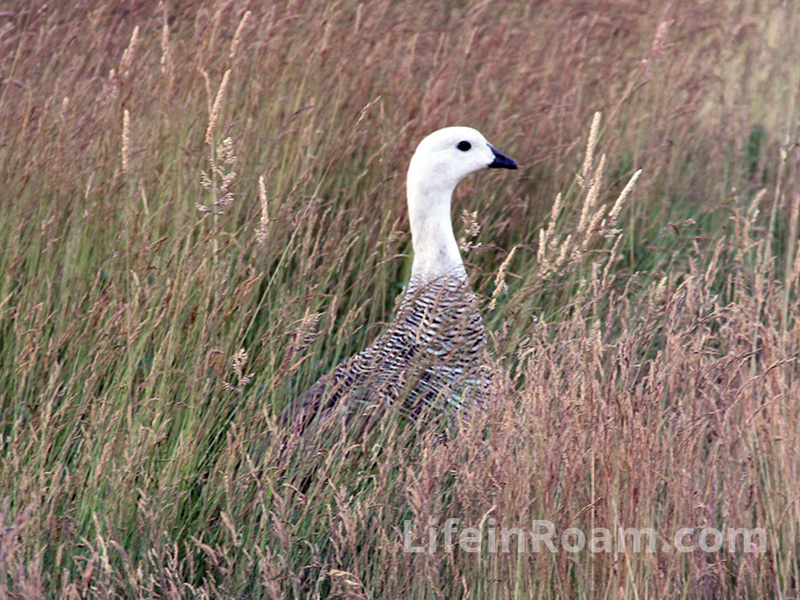 Next day leave our bags and tent and hike Cerro Guanaco. Return to the tent, pack up, and catch the last shuttle out at 6pm. Senda Costera, or the coastline trail, is a mostly flat 8km walk from the entrance to the park to the visitor’s center. It is spectacularly beautiful. The path moves in and out of the coastline and alternates between stunning mountain views to enchanting forest paths. The beaches ranged from yellow to green. 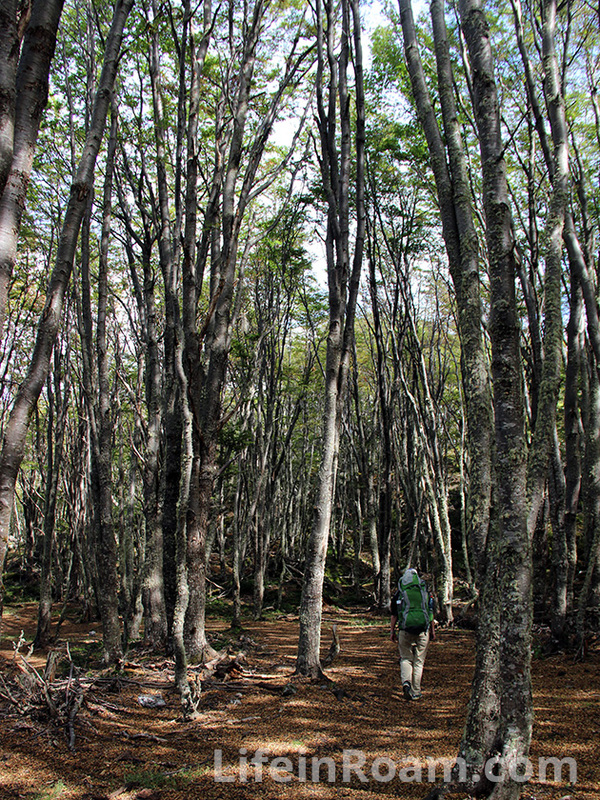 The forest tall beech trees to old evergreens. It was a plethora of landscapes all within 5 miles. It took us a few hours to finish the trail. 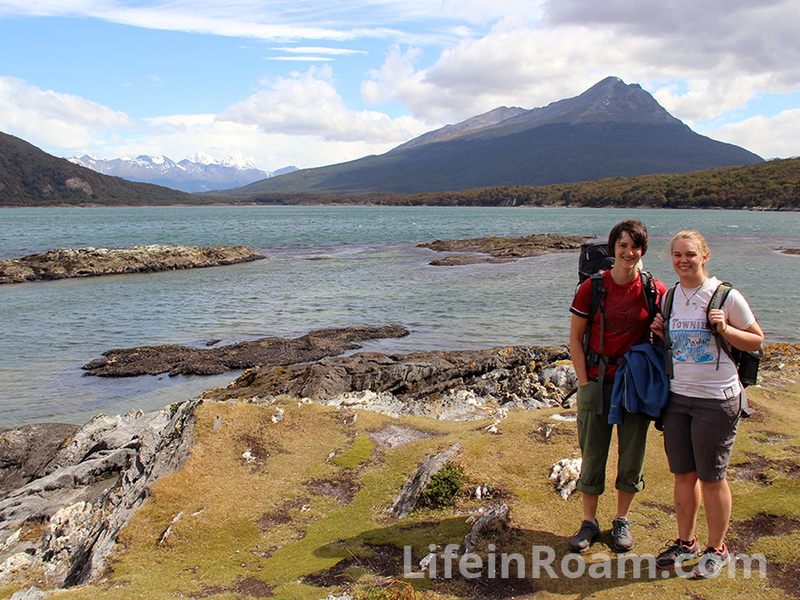 The last part to the campsite near Laguna Verde was a windy path meandering along a clear turquoise river. After arriving in the campsite, we took out some packed empanadas for lunch and went searching for the perfect campsite. While we nom-ed, the local fauna came out. 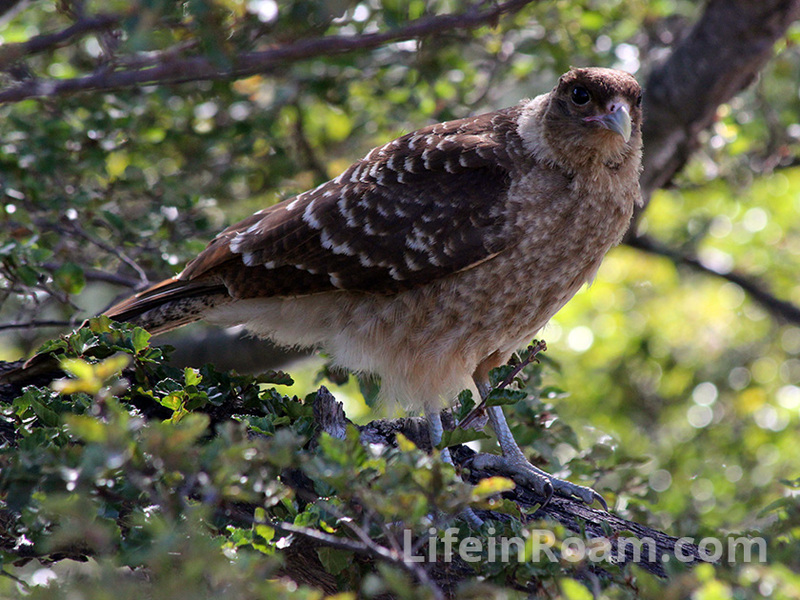 This other caracara lived in the tree across from our tent. 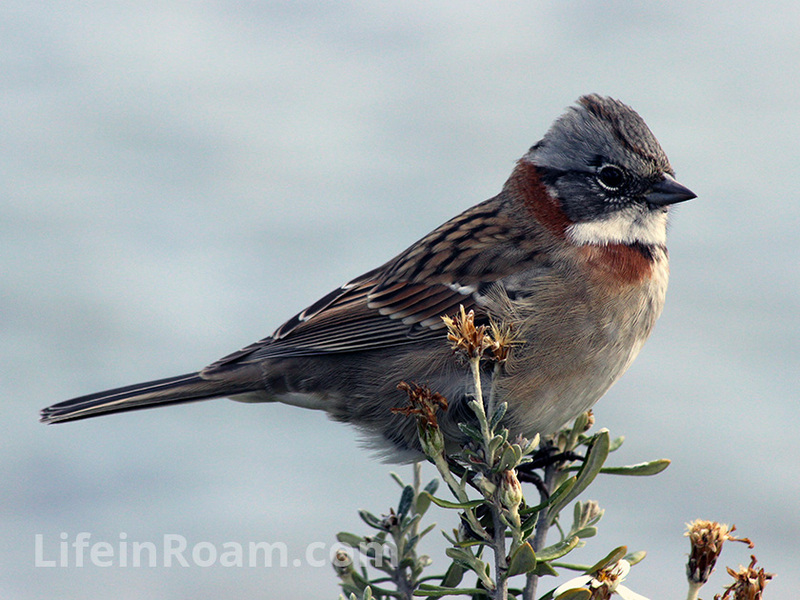 This guy looks like a common European sparrow but he has a little crest on his head. 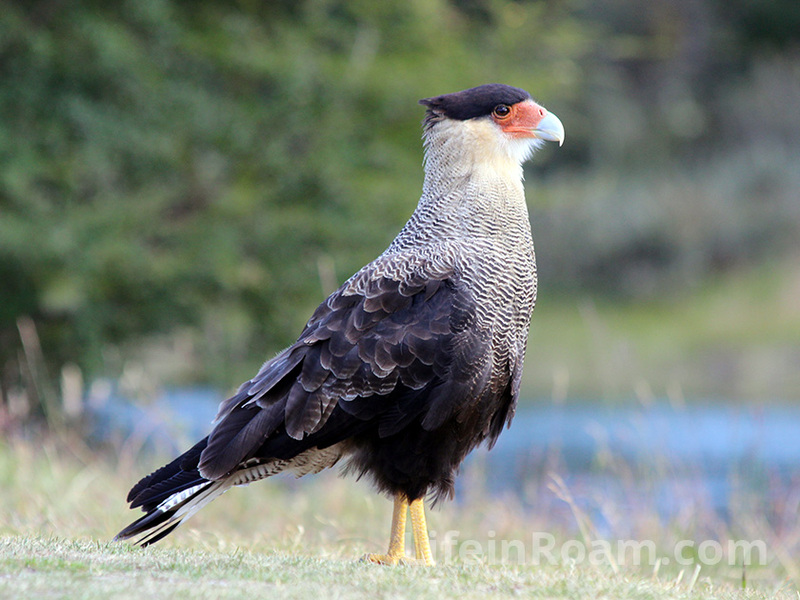 They were darting around the caracaras trying to steal the leftover snacks the campers left. And this little yellow boppity boop. After hiking the Coastline Trail, there were a few more smaller trails to see in the park near our campsite. 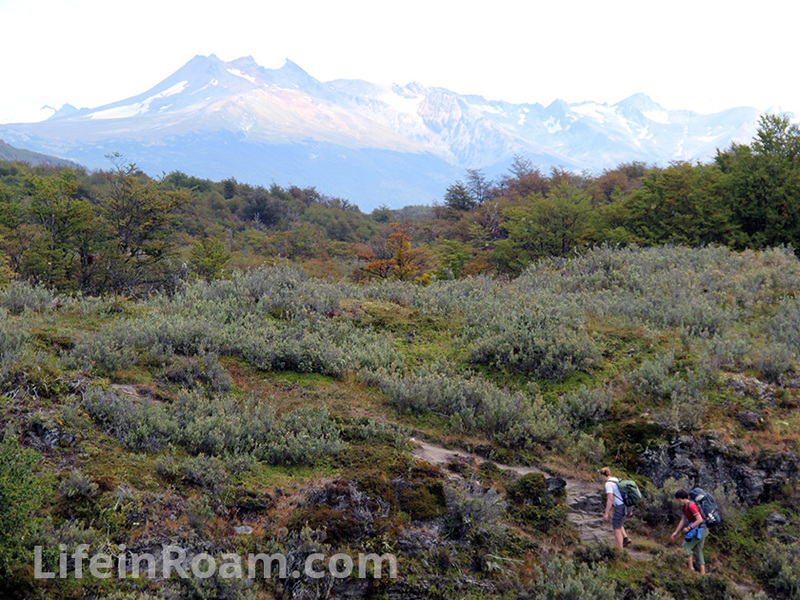 One of the trails is called “Castorera” which just means “Beaver.” You see, in 1946 the Argentinian government was like “you know what would be profitable? A fur industry.” So they imported and released beavers into Lake Camil. Meanwhile, Australians are saying to themselves, “This ain’t going to work out, trust us.” And sure enough, no fur industry formed but the beavers without natural predators really fricked up some nature. All of these trees were chomped down by beavers. 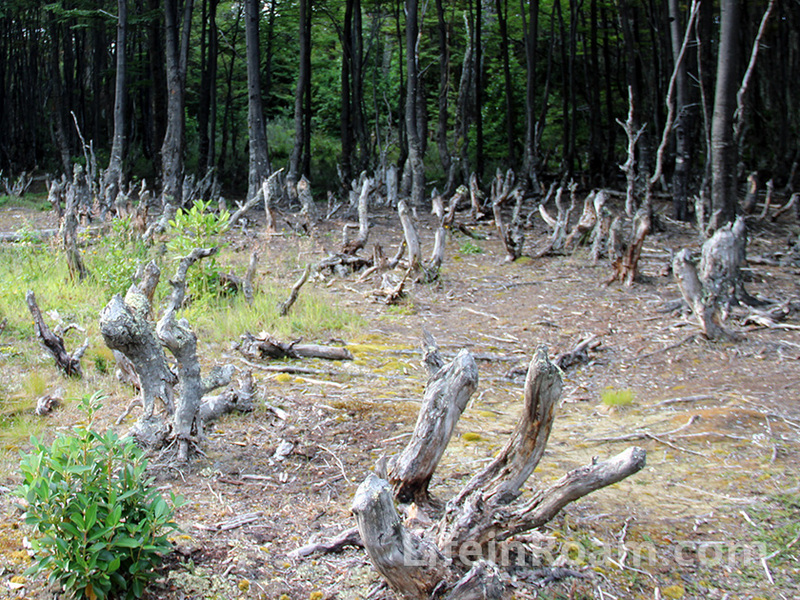 This is an abandoned beaver den. 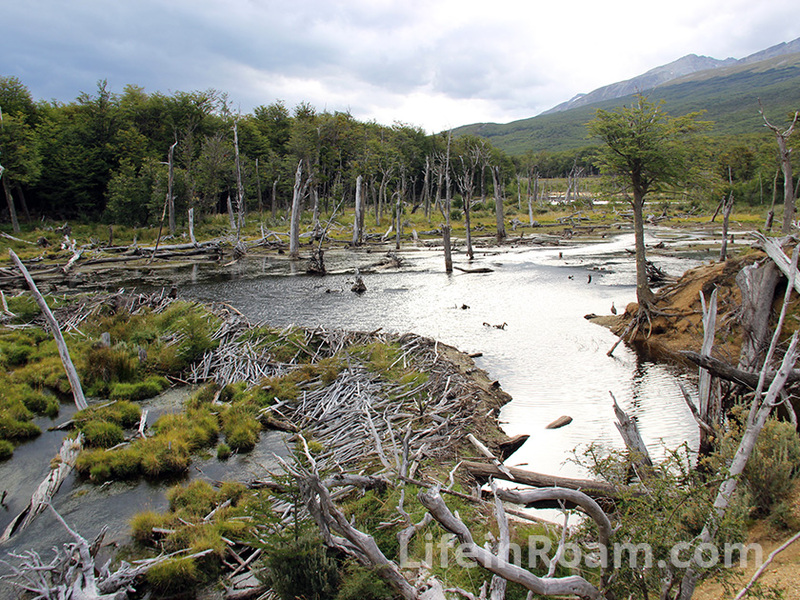 Once the area is flooded from the dam, the trees die because they have too much water. 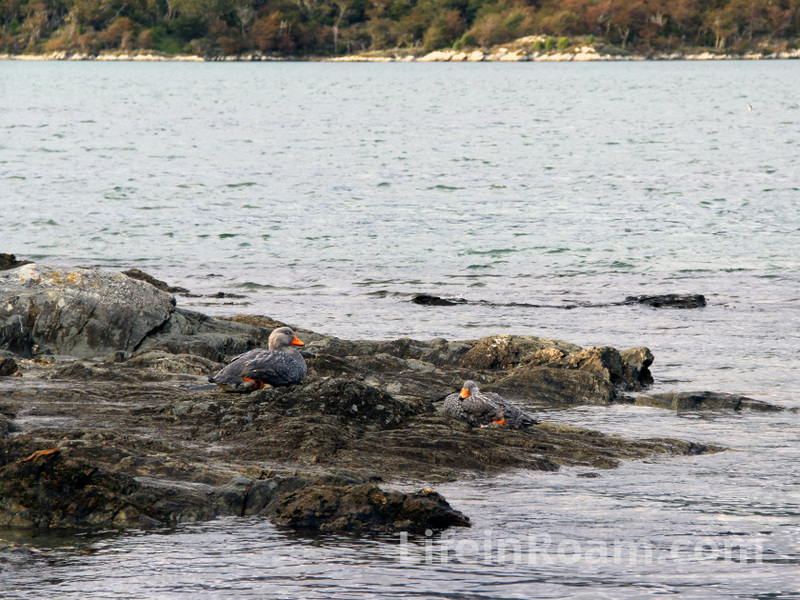 From there we visited Bahia Lapataia, which is a bay in the Beagle Channel, but also the southernmost point of Route 3. 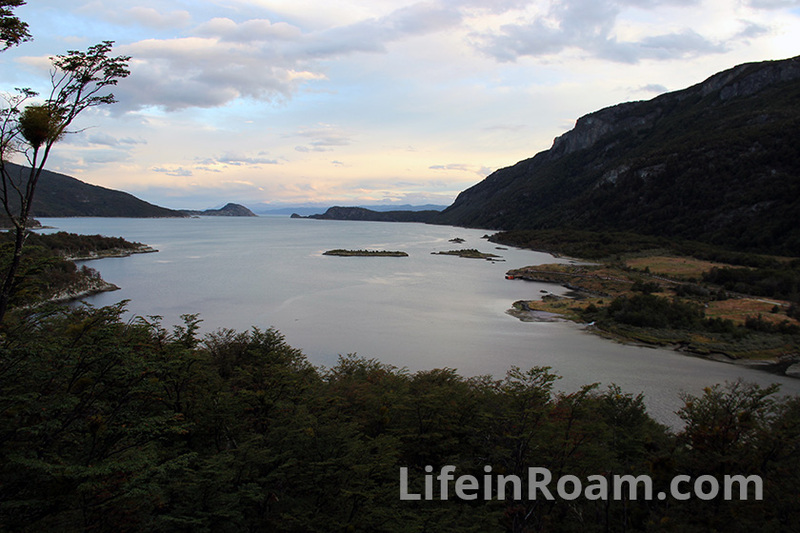 This is a route that starts in Buenos Aires and goes all the way down to Tierra Del Fuego, approximately 1,892 miles. Bahía Lapataia is Yaghan for the Bay of Wood. The Yaghan were the original people of the area and their lifestyle was incredibly well adapted for the region. You can still find archaeological evidence of their lives here. At least what the rabbits do not find first. 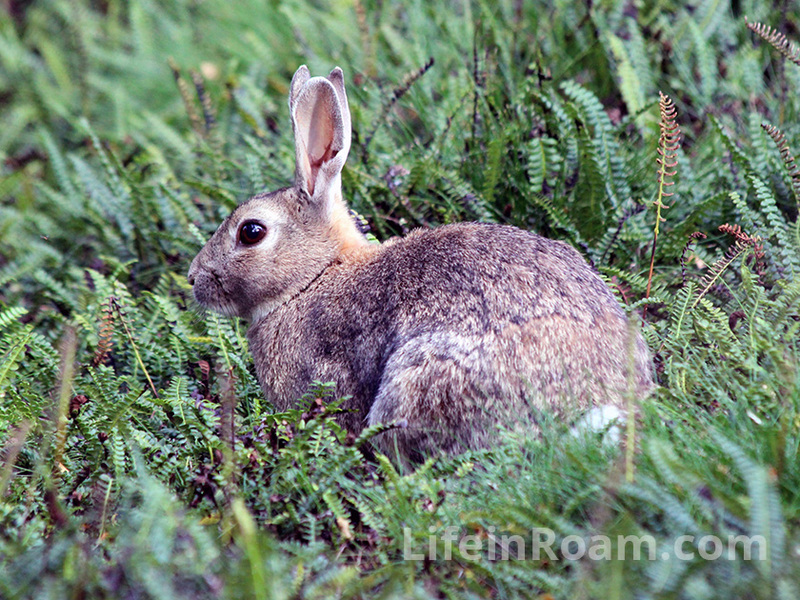 The rabbits are also an invasive species I believe, but there are at least foxes to prey on them. We finished our trekking right before sundown and ended our day drinking a bottle of wine by the river that flowed by our tent. Looking forward, but also wary, of our “strenuous” hike the next day. The three person tent we rented was smaller than a double sized bed. Every twitch and adjustment was felt by the others in the tent. Luckily our sleeping bags were very warm, but they too were stained from something and mine had some burn marks on them. We burrowed into the tent and discovered that the zipper of the rain fly was broken, so we hoped for no rain during the night. This, and the cramped tent conditions, made for a very audible “sneak out” when anyone needed to use the bathroom that night. Not the ideal conditions for a night before a big hike, but certainly amusing.